Once you’ve found a home in the app that you’d like to chat about. 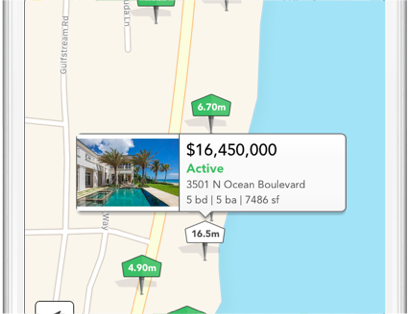 Select the property to go to it’s full listing details. From any listing detail page in the app, tap “Share in Message” or if you’ve already chatted with others in the app, you’re most frequently used chats will be in this list as well. 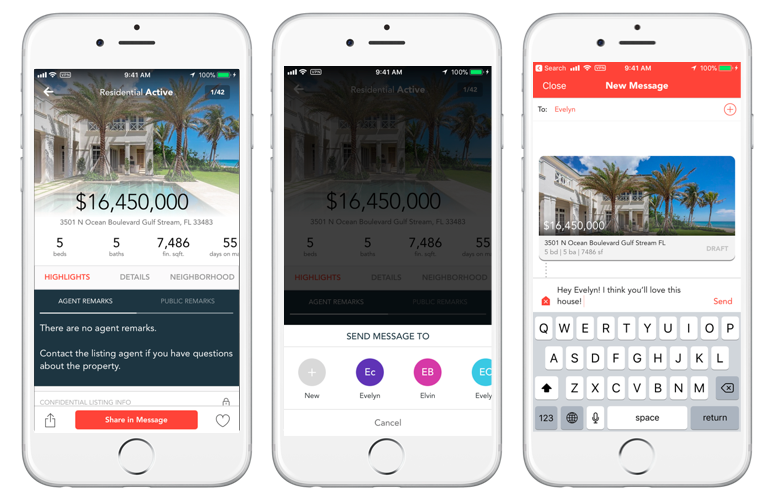 Select a contact in your device or type in any number, add a message, and send! 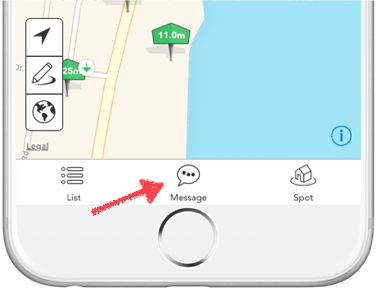 You can find your ongoing conversations anytime in the app by selecting the message icon located in the bottom center of the map view at anytime.